This widely acclaimed masterpiece and must see American epic features the Academy Award wining performance of Daniel Day-Lewis (Best Actor, 2007). Daniel Plainview and son are independent oil men, looking for prospects in California at the turn of the 20th century. They are challenged by a young preacher, Eli Sunday (Paul Dano), whose own ambition is matched by Plainview's. Their battle forms the center of a scary, darkly comic historical journey into an abyss of madness. "There Will Be Blood is Paul Thomas Anderson's epic American nightmare, belching fire and brimstone and damnation to hell. It is, above all, a consummate work of art" (Manahola Dargis, "The New York Times"). Daniel Day-Lewis doesn’t make many movies, but whenever he does, he seems to gather acting plaudits by the bushel. With 2007’s There Will Be Blood, Day-Lewis sucked down his second Best Actor Oscar; this one came nearly 20 years after his victory for 1989’s My Left Foot. In this flick, he plays Daniel Plainview. Around the turn of the 20th century, he discovers oil while mining. As he develops the property, a co-worker gets killed, so Plainview adopts his child. Eventually Plainview makes himself into a real oil tycoon, and that’s when the film’s main plot kicks into gear. With young adopted son HW (Dillon Freasier) in tow mainly as a prop to sell himself as a good family man, Plainview tries to convince western towns that he’s the one to extract their new-found oil from the ground – for a suitable price, of course. Plainview hears that a one hidden spot called Little Boston might have a ton of oil just waiting to be taken, so he connives to control this territory and take the “black gold” for as little money as possible. Not all goes smoothly, though, largely because a charismatic young preacher named Eli Sunday (Paul Dano) manifests some opposition because he desires more active support for the church he strives to build. Eli wants Plainview to give money for this endeavor, but the oilman shows no interest in this or any spiritual affairs, though he fakes that side of things for the locals. The film follows Plainview’s attempts to fulfill his fortune in Little Boston as well as his personal dealings with HW and the residents of the town. When one discusses Blood, Day-Lewis’s performances usually becomes the main topic of interest. As I mentioned earlier, he won the Best Actor prize, apparently without much competition. Of course, the Academy never reveals the voting totals, but most feel Day-Lewis won in a landslide; he was the prohibitive favorite going into the awards, so his victory surprised no one. Did he deserve the prize? Probably. Day-Lewis provides an excellent performance, one in which he truly inhabits the character. While Day-Lewis isn’t the most recognizable actor – he’s no omnipresent Brad Pitt or Tom Cruise – we’ve seen more than enough of him over the years to understand who he is. As Plainview, Day-Lewis submerges himself into the role and really seems to become the character. Unfortunately, the plaudits heaped upon Day-Lewis may lead some to view Blood as a one-man show, and that’d be a mistake. The other actors flesh out their parts in a more than satisfying manner. Indeed, excellent supporting actors become especially important when a movie boasts such a standout lead. Otherwise the difference in quality would be particularly noticeable and cause the movie to flop. One man can’t carry a flick, so the solid efforts by the supporting actors ensure that the movie succeeds. Paul Dano’s work as Eli rivals Day-Lewis’s performance, I think. Indeed, Eli probably offers a more interesting character than Daniel just because he’s not as easy to pigeonhole. No, Plainview isn’t totally one-dimensional, but we can get an easier grasp on him than we can the slippery Eli. Does Eli really believe in the gospel he preaches or does he use the pulpit as a path to fame and fortune? That’s a good question that Dano doesn’t telegraph; he leaves the character intriguing and tough to read. It’s an interesting debate since the preacher may be just as much of a narcissist and a sinner as the money-hungry lying oilman. A look at director Paul Thomas Anderson’s filmography reveals a heavy concentration of works that look at modern life. Sure, one could consider breakthrough flick Boogie Nights to be a period piece, but it didn’t stretch too far into the past. 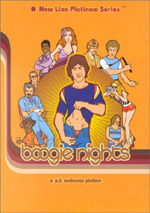 It was set in the 1970s and 1980s, periods that virtually all of its viewers would have remembered well when it came out in 1997. 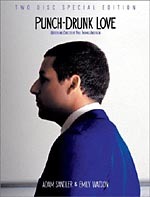 Both 1999’s Magnolia and 2002’s Punch-Drunk Love stayed in contemporary times, so he seemed like an odd choice to take us back a century or so for Blood. I think Anderson does pretty well with the material. He makes an unusual – and potentially pretentious – choice to go the first 14 minutes and 30 seconds of the flick without dialogue. This does feel a little artificial, but it works, especially since it startles us when we finally hear Plainview’s deep baritone. Based on his grizzled prospector look, I expected him to sound like Gabby Hayes, not like the white cousin of James Earl Jones. The movie consistently looks great. Blood submerges itself in its period in a tremendous manner and never gives us vestiges of the modern day. The flick always maintained a great sense of authenticity in the way it conveys its era. Although I like Blood a lot, I wouldn’t call it a great film. The movie staggers at times and comes with an ending some may view as wonderfully strange while others will take as maddening. (I kind of like it, though I can understand the complaints.) Despite a few faults, Blood creates an interesting tale and tells it well. 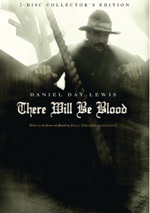 There Will Be Blood appears in an aspect ratio of approximately 2.35:1 on this single-sided, double-layered DVD; the image has been enhanced for 16X9 televisions. Though the transfer usually looked fine, it suffered from a few more flaws than I’d like. The main concern came from some edge enhancement. Light haloes cropped up at times and ensured that more than a few shots suffered from minor softness. This was generally a pretty well-defined image, but the wider elements tended to be somewhat tentative. I noticed no jagged edges, but a little shimmering occurred, and the flick could be a bit ropy. Source flaws were essentially absent, though, as nothing more than a speck or two appeared. One certainly wouldn’t expect a grim period drama like Blood to come with a dynamic palette, especially given the movie’s arid landscapes. The flick followed with the restricted, nearly monochromatic hues I anticipated. 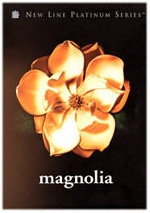 The DVD reproduced the limited array of colors well, as they matched the design in a positive manner. Blacks were deep and dense, while shadows looked smooth and well-rendered. This was an acceptable presentation but the various issues with definition made it less successful than I’d prefer. When I examined the Dolby Digital 5.1 soundtrack of Blood, I found a consistently good but unexceptional affair. The soundfield opened up on occasion, though it usually featured a pretty strong emphasis on the front. Those channels gave us a nice sense of environment, particularly in livelier sequences like those with explosions or gushers. Music also showed fine stereo imaging. As for the surrounds, they mostly stayed with general reinforcement of the forward material. Even the “action” pieces didn’t provide much information from the back speakers, at least in terms of specific audio. They played an active role but not one that made them essential partners. At all times, audio quality excelled. Speech consistently sounded concise and crisp, without edginess or other issues. Music was vibrant and full, while effects seemed detailed and dynamic. Low-end response was more than adequate for the material at hand. I would’ve liked a moderately more involving soundfield, but this track satisfied nonetheless. Only a few extras fill out this two-disc set, and all appear on DVD Two. A vintage film from the 1920s called The Story of Petroleum runs 25 minutes and 32 seconds. This silent flick shows how oil is gotten out of the ground and other aspects of the industry. Though created by the US Bureau of Mines essentially to promote Sinclair Oil, “Story” actually provides an educational and interesting piece. It’s pretty factual and not the fluffy nonsense one would get today. 15 Minutes lasts 15 minutes, 36 seconds as it presents vintage photos and pieces of research accompanied by music. The program shows historical elements and also demonstrates how Blood replicated those visual concepts. This becomes a good way to see the manner in which the flick stayed true to the reality behind the tale. Two Deleted Scenes come next. We find “Fishing” (6:15) and “Haircut/Interrupted Hymn” (3:15). “Fishing” shows attempts to rectify a problem with the well, while “Haircut” depicts a little more father/son material between Daniel and HW. “Fishing” nails some of the tensions between the locals and the sinning Daniel on the nose too much; we get the themes without making them so obvious. “Haircut” doesn’t go anywhere at all, to be honest. It makes sense that both clips came out of the film. In addition to two trailers, the supplements end with Dailies Gone Wild. This two-minute and 47-second piece shows an unedited take of Daniel at a restaurant as he taunts competitors. It’s nothing exciting, but it’s moderately interesting to watch Day-Lewis act without cuts to other sequences. A challenging period piece, There Will Be Blood doesn’t always soar, but it offers more than enough to maintain our attention. In particular, it boasts some excellent acting and a great feeling of authenticity. The DVD comes with decent but slightly disappointing picture, pretty good audio, and a minor collection of extras. This is an intriguing flick that deserves your attention, even though I don’t view this as a great release. Note that in addition to this two-DVD special edition, you can buy a single-disc version of Blood. It replicates this set’s first platter and simply omits the second DVD with the extras. It sells for $29.99 instead of this package’s $34.99 retail price. Since DVD Two includes so few supplements, I think the single-disc version will be the best bet for most fans. $5 for less than an hour of supplements isn’t an outrage, but I’m not sure it’s worth it.